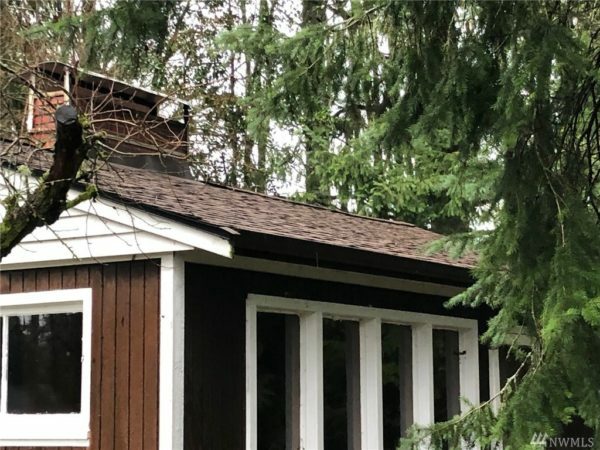 This is a 560-square-foot tiny home on a foundation in Olympia, Washington that’s listed for $325,000. According to the listing, it has about a 1/3 of an acre of land and the home could use some remodeling, updating, and repairs. The best part is that it’s right on Long Lake with about 245-feet of access to the lake. The house was built in 1951 and features one bedroom and one bathroom with enough space to add a barn or shed on the property if you wanted to. I also wonder if you would be allowed to have a tiny home on wheels parked on your property here. By the way, this house which is literally next door to it is also listed for sale. What do you think? 1960’s style cabin home with vaulted ceiling in main living room, with grand fireplace. Come do some small remodel/fixers and make this cabin home great again, perfect weekend getaway home. Related: 720-Square-Foot Small House Next Door to this One! You Might Like: Retired Couple’s Residential-Quality SKOOLIE!